And the obsession continues. 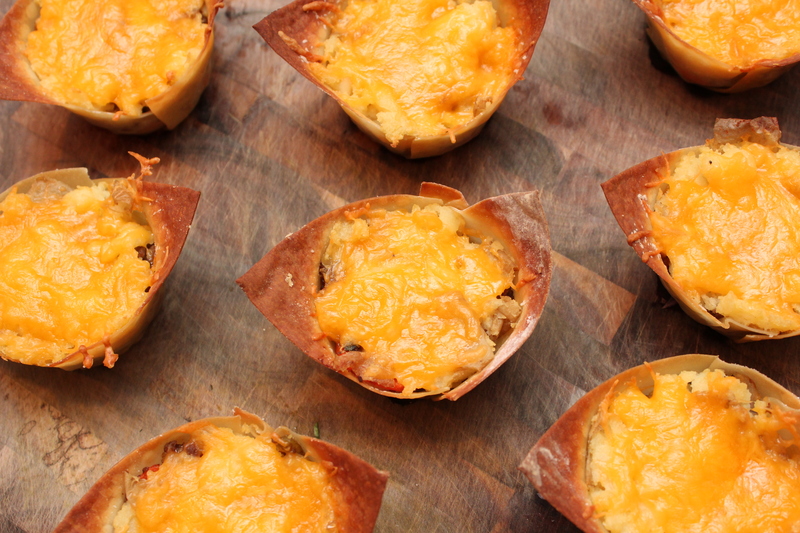 Muffin tins and won ton wrappers are a match made in heaven! 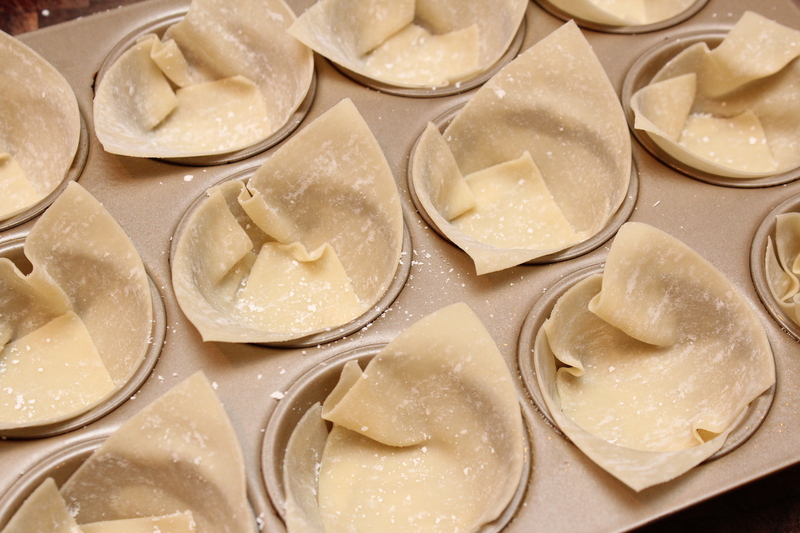 Just line the tins with a won ton wrapper, fill with whatever your heart desires, pop in the oven and bam…deliciousness! The contestants on American Idol are singing songs from John Lennon and Paul McCartney so for tonight’s recipe, featured on Lyndsey Parker’s Reality Rocks blog, I’m sticking with a British theme. 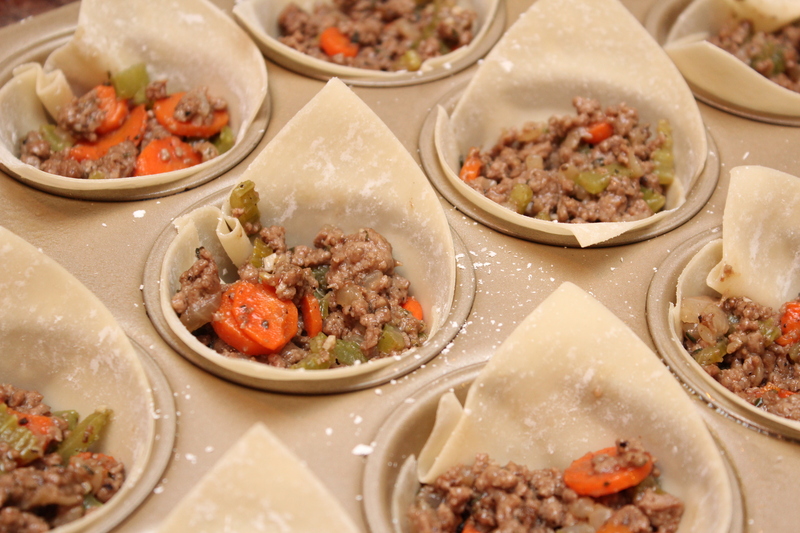 The brits love their meat pies, or pies in general, so I thought I’d throw a little twist on Shepherd’s Pie. 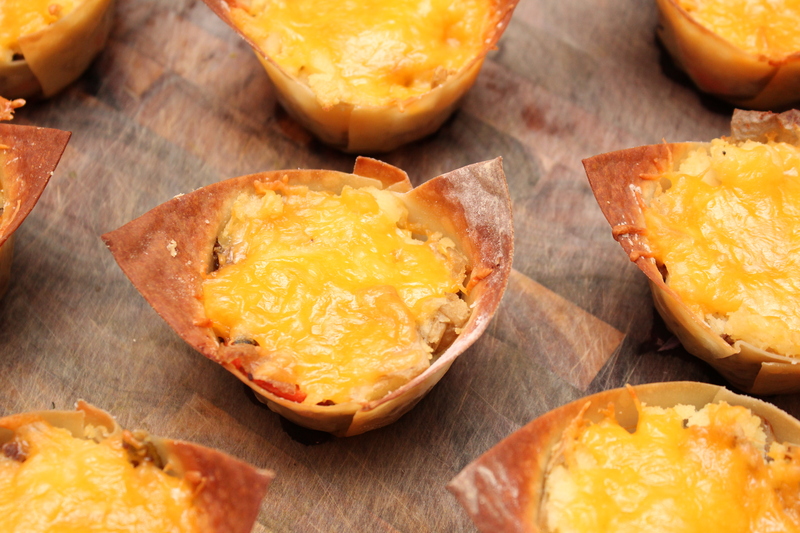 Now I’m not trying to pat myself on the back too much but you MUST try this recipe!! I’m really happy with how they turned out…3 servings happy. In a large dutch oven heat the olive oil over medium high heat. 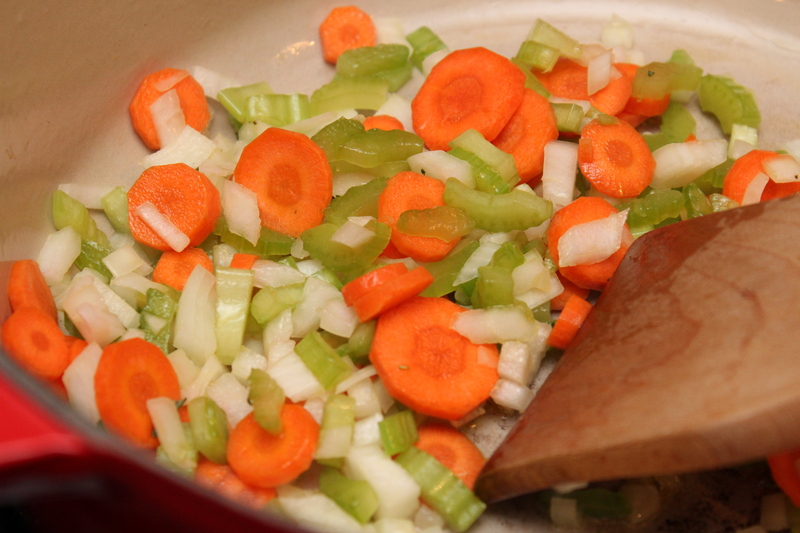 Add the carrots, celery and onion and sauté until softened. Add the garlic and sauté until fragrant, around 30 seconds. Add the sirloin and next 5 ingredients, through the black pepper, and sauté until the meat is cooked through and no longer pink. Sprinkle with the flour and cook for another minute. Pour in the beef stock and simmer until mostly evaporated. 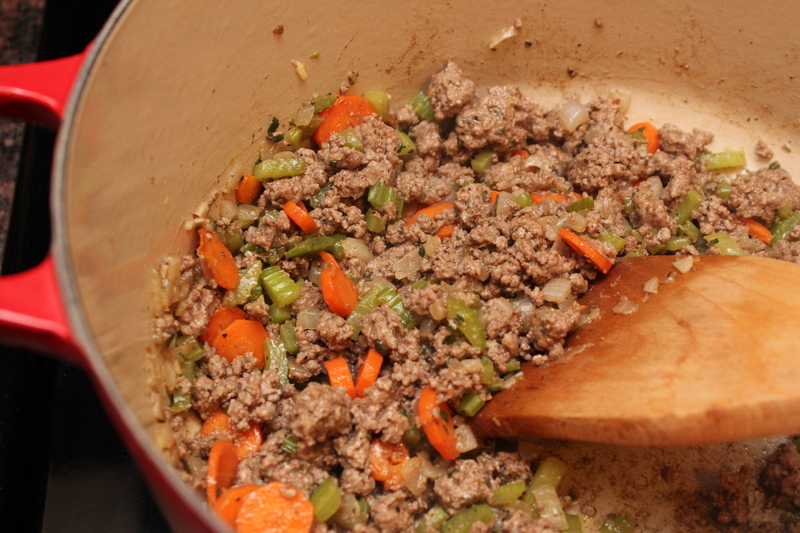 Scrape up all the goodness at the bottom of the pan. 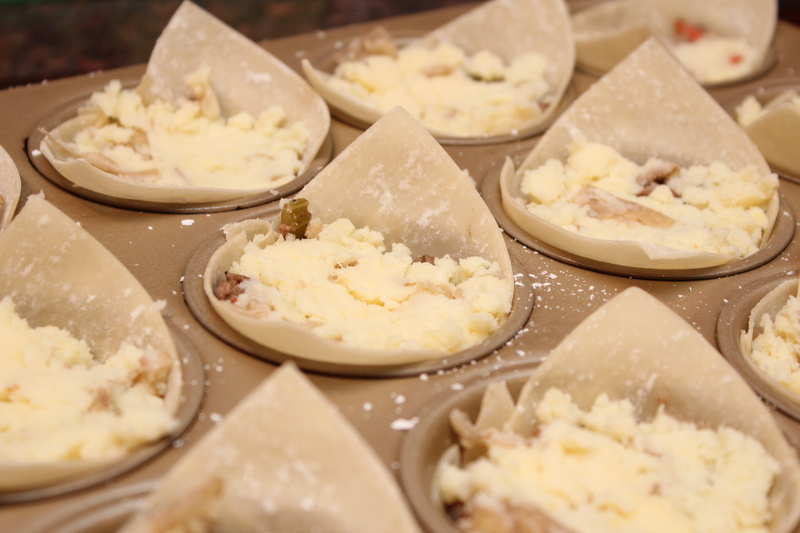 Spray a muffin tin with the spray and place two won ton wrappers per muffin cup, overlapping to make sure it holds in the filling. 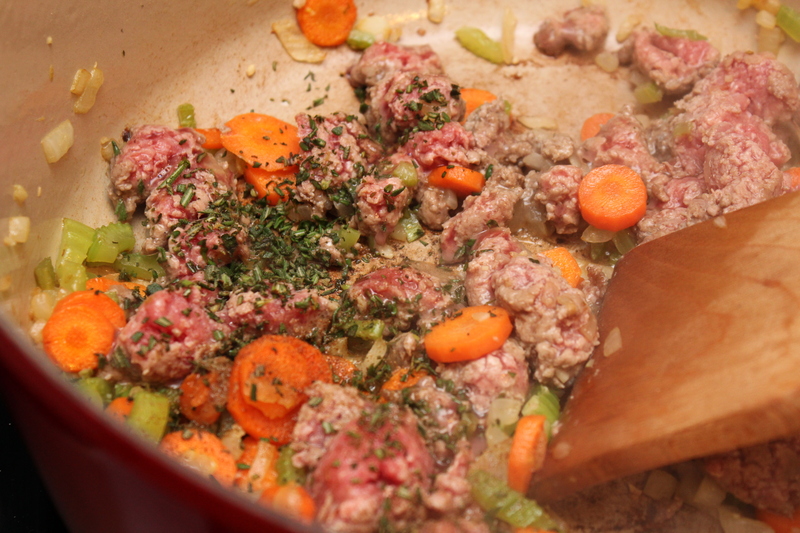 Put a few tablespoons of the beef mixture in each cup. Top with a tablespoon of the mash potatoes. Sprinkle with another heaping tablespoon of cheese. 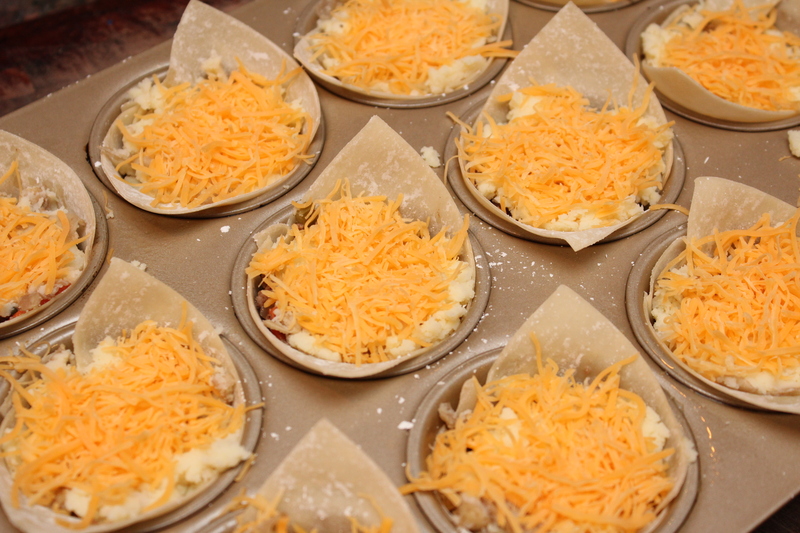 Bake in the oven until the cheese is melted and the won ton wrappers are a deep golden brown.